Christine Tanguli is a former high school teacher and United Nations officer. She quit her jobs to follow her passion, which is nurturing the less fortunate, a mission she executes with so much love. 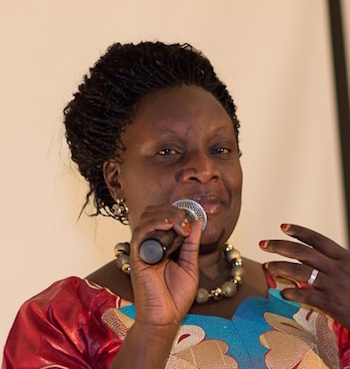 She is now the Director of Shekinah Orphanage and also runs Ephraim Children’s Home in Kitale, making her “mother” to about 1500 children across three counties. She visits the institutions daily to ensure smooth running. As if that is not enough, she also runs a high school for disadvantaged kids where it’s her utmost joy to see them excel. To add on that, Christine houses more than 20-orphaned kids in her own house and they all refer to her as “Mama.” She does not entirely depend on donors, so she does tailoring as a business to enable her provide for her big family. Christine is determined to see these children succeed regardless of the challenges she faces in supporting them. Giraffe Heroes Kenya wishes to recognize Christine Tanguli for “sticking her neck out” for the common good and her desire to lighten the loads, strengthen the hearts, and improve the lives of those in his circle of influence.